Lake Views abound as you are welcomed home to this lovely remodeled bright and open plan two-bedroom, two-bath, two-car garage Garden Lakes Villa. Enjoy the private walkway and entrance to tiled foyer, living room with bay windows and vaulted ceilings. Enjoy this spacious floor plan which offers a kitchen with granite counters, newer cabinetry with lighting, newer appliances, center island counter, breakfast bar, pantry, eat-in breakfast area/office space, and a skylight for more natural lighting. gorgeous wood floors, tile and carpet can be found throughout. The glass-enclosed Florida room is air-conditioned for added living space with serene lake views. 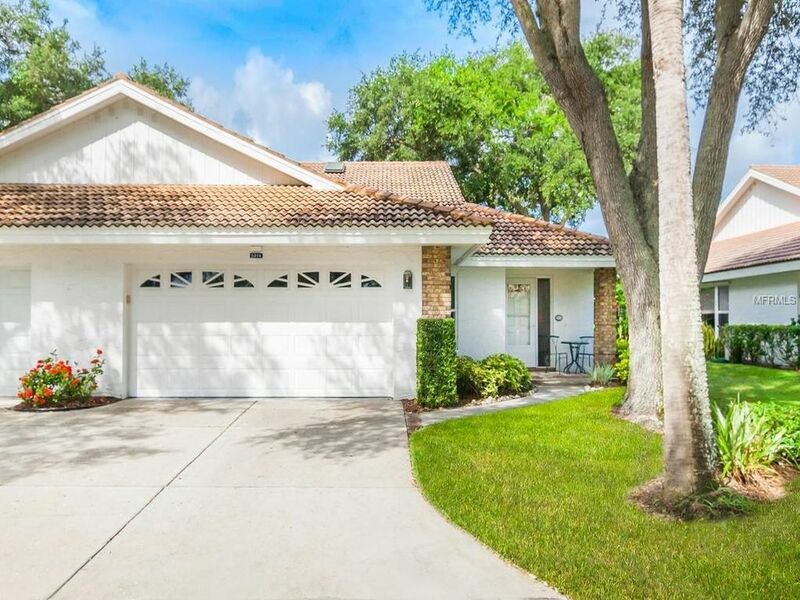 Master bedroom boasts vaulted ceilings, sliders to the Florida Room and a remodeled Master Bath with newly tiled shower, quartz counters and dual sinks and raised vanities. Peace of mind with newer windows throughout, interior paint, and tile roof in 2010. Garden Lakes is an amenity-rich and well-maintained 55+ community & hidden gem including a clubhouse, heated pool, fitness center, tennis courts, shuffleboard courts, and walking paths. Within close proximity to restaurants, shopping malls, 4 miles from I-75, and a short drive to the Anna Maria and Bradenton Beach. Priced to sell so schedule your private showing and make your offer now. Directions: SR 70 to 37th St E. Turn South to gated community entrance of Garden Lakes. Take roundabout to Garden Lakes Drive and follow to villa 5814 on right.